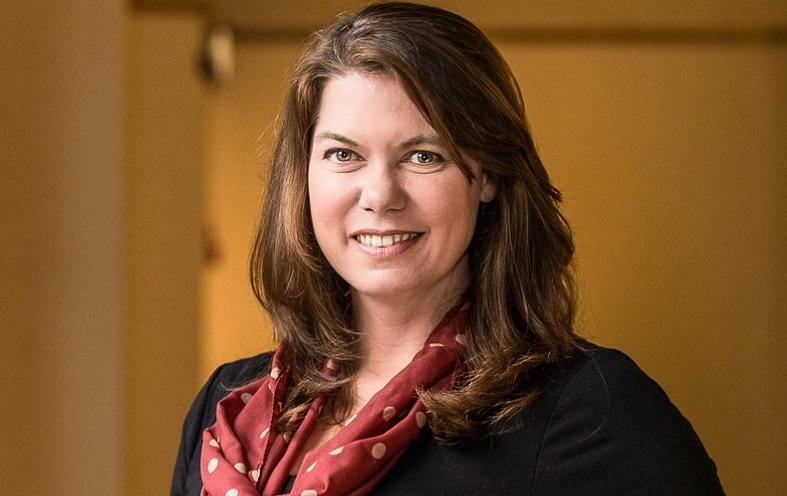 Meet Salli Felton, CEO of the Travel Foundation, an independent charity that brings together public, private and third sector tourism stakeholders to develop practical solutions that maximise the benefits and minimise the negative impacts of tourism in destinations. Salli – a trained environmental biologist originally from Australia – forms part of a new generation of NGO leaders who prioritize collaboration, rather than condemnation, in working toward a more sustainable tourism. The best way to measure the success of sustainability initiatives. Salli, when did you first get in touch with sustainable tourism? It has always been a part of my psyche. Growing up in Australia, I spent early holidays with my family hiking, boating and caravanning around the country. We would camp on idyllic coastal headlands, explore wild rivers and rocky escarpments, look for wildlife and mix with the locals, taking home vivid memories of completely different ways of life. The sustainability part just came naturally, the thought of leaving such special places slightly worse off as a result of my actions was unthinkable. Even as a child I only ever wanted to find ways for my visit to enrich them and for others to have the same experience. When I came to the UK in 2008, the timing seemed right to combine the two passions in my life – travel and sustainability – and focus my career on sustainable tourism. Working for BAA at Heathrow gave me new insights into aviation and airport handling, whilst my time at Virgin Holidays gave me a greater appreciation of how an international tour operator works. It was also where I was first introduced to the Travel Foundation. Your favorite books on tourism and sustainability? Overbooked by Elizabeth Becker is an interesting read for anyone wanting to get better insights into the travel and tourism industry. Also: [easyazon_link identifier=”190779431X” locale=”US” tag=”slpus-20″]Business is Beautiful: the Hard Art of Standing Apart[/easyazon_link] by Danet, Liddell, Dobney and KacKenzie. I’m looking forward to reading [easyazon_link identifier=”0807039551″ locale=”US” tag=”slpus-20″]The New Wild: Why Invasive Species Will Be Nature’s Salvation[/easyazon_link] by Fred Pearce, as it interests the environmental biologist in me. How has your view of sustainable tourism changed over time ? I was never much of a package holiday traveller, so my initial views of sustainable tourism grew from my experience of independent travel to wild and remote places, where only small numbers of people would visit at any one time. As eco-tourism began to grow it felt like a good solution to growing numbers of visitors but as I travelled more outside of Australia, I quickly saw that it only fit a certain type of destination and tourist. And sometimes it didn’t fit at all. Twenty years on, much has changed. There are more than 1 billion tourist arrivals annually and tourism has become the largest and fastest growing industry in the world. As a result the need for sustainable tourism has become greatly magnified and my work at the Travel Foundation has allowed me to put my focus where I feel the greatest impacts are occurring – in the mainstream. If mainstream tourism can give back to destinations more than it takes, then we are well on the way to ensuring these special places are protected for all. If I earned a pound every time I’ve heard public sector organisations, sustainability professionals and NGO’s tell me that collaboration with the private sector will compromise project objectives, I would be a very wealthy woman. Our world is not black and white and it’s not just the big, bad private sector that creates the problems we see today. We do this together – across all sectors. I believe very strongly that we need to find ways to work collaboratively and harness the private sector to do what they do best – drive the implementation of solutions. This is the model we are developing in our work at the Travel Foundation and so far, it’s proving very successful – for businesses, governments, local people and holidaymakers. Has sustainable tourism awareness changed in recent years? Do you share the view that sustainability has become mainstream? I think that sustainability as a global concern can be considered mainstream – it’s an accepted part of public and corporate life and continues to become more so as each year goes by. Whilst awareness around sustainable tourism has definitely increased in recent years, I don’t believe it has become mainstream yet. Until core tourism stakeholders can assess and understand the impacts of tourism (economic, environmental and social) on a destination, it is impossible to plan tourism development in a sustainable way. Waiting for consumer demand to increase before taking action should not be an option because if tourism stakeholders don’t manage the impact of their activities, they risk destroying the very product that sustains them. Importantly, market research also suggests that whilst consumer demand for sustainable holidays might not always be obvious, there is a clear customer expectation that companies will not sell holidays that impact negatively on destinations. Why did you decide to lead the Travel Foundation? And what is your vision for the next years? 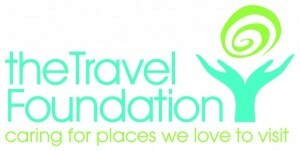 From the moment I first encountered the Travel Foundation I was drawn to the unique model of operation as an industry facing charity with the vision to change tourism practice. Whilst theoretical models are important, I am a pragmatic person who likes to put theory into practice and test solutions in the real world. This is at the heart of the Travel Foundation’s work. I worked as Head of Programmes for the organisation for a couple of years developing existing destination partnerships and establishing new programmes of work, until I was fortunate enough to be selected as Chief Executive in 2014. My vision now is to drive the sustainable tourism agenda forward in destinations by bringing all tourism parties together so they can better understand the impacts of tourism and the barriers to change. Which achievements at the Travel Foundation are you most proud of? If I had to choose one achievement that I am most proud of, it would be leading the Travel Foundation through the latest transition of building a new strategy for the future. This has included taking an objective look at what we have achieved in the past – the good, the bad and the ugly, and mapping a new course based on the changing industry we work in. We are now set to embark on the next phase of our journey with a new vision. It will be challenging as it always is, but I’m excited to see what we can achieve next. There is a lack of knowledge around the real impact tourism is having on destinations and a corresponding inability to manage these impacts in a positive and proactive way. If addressed however, this challenge becomes an opportunity. The other key challenge is that tourism is a global, yet fragmented industry, with numerous stakeholders across all sectors. With no accepted international framework or formal model of operation, and no one stakeholder ‘owning’ tourism, it becomes difficult to attribute responsibility to stakeholders. If, however, the means to bring these stakeholders together exists, the challenge can be shared and mutually beneficial solutions can be created. What is the best way to measure sustainability in travel and tourism? If the answer to this question was known and well accepted, I believe that engagement in sustainable tourism would be much greater. At the moment tourist numbers seems to remain the key measure of success in destinations yet these figures tell us nothing about the impact that tourism is having on that destination. How much a tourist spends while on holiday is another common measure, yet this tells us nothing about where the money goes. If we don’t focus on measuring the impacts of tourism (both positive and negative) we won’t ever have a clear idea of whether it can be sustainable. Having said this, measuring all the impacts of tourism on a destination is potentially complex and expensive. So perhaps it’s about taking small steps to start, identifying the measures that really matter to a destination – the environmental pressures, the community ambitions – and focus on these as a starting point. Your favorite news media, blogs or LinkedIn groups on sustainable tourism leadership? I read a large and diverse range of sustainable tourism material, which – though mostly informative – is rarely inspiring. I enjoy most things from Doug Lansky, who has a great way of bringing information to life. His recent TED talk on how to fix travel kept me watching right to the end. 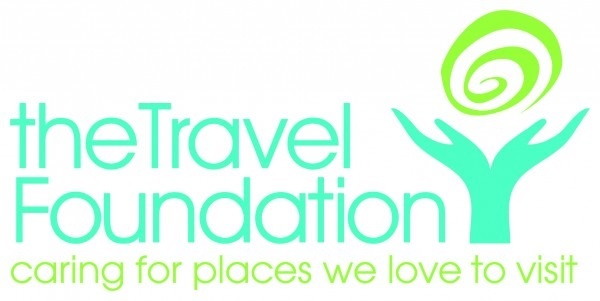 Learn more about the Travel Foundation here or connect with Salli Felton on LinkedIn. Enjoyed our interview with Salli Felton, CEO of the Travel Foundation in the United Kingdom? Share and spread the word!